Latex Scatter Cushions, high quality cushions made to any size or shape. available in any size of cushion, bolster or pillow shape. All of our cushions come complete with a Lifetime Guarantee. 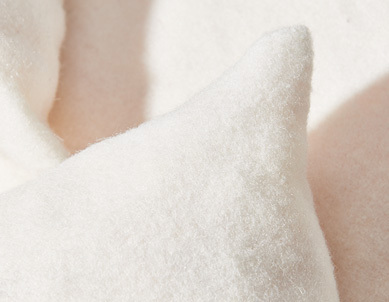 Our cushions have a plump luxurious look. We use only the finest quality latex for our interiors. 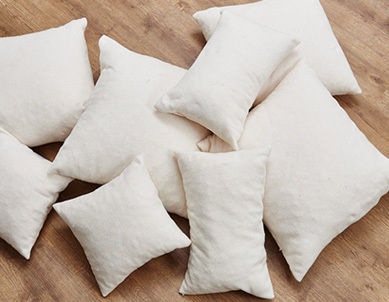 Replace your polyester fibre and feather filled scatter cushions with our exclusive Latex Loose Filled Scatter Cushion Inserts. These are not available from any other supplier and as they require only occasional plumping and come with a “Lifetime Guarantee” you should never need to replace your cushions again. Plump appearance that won't flatten! Only the finest quality latex interiors are used in conjunction with a quilted cotton cover to create a cushion with a smooth plump appearance that will never flatten. 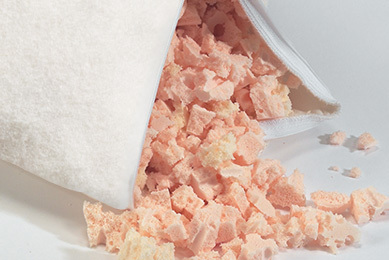 Our loose filled scatter cushion inserts are manufactured from the small off cuts created when we cut Traditional latex into mattresses and cushions. We take these small off cuts and shred them to make a quality loose filling. Being environmentally friendly comes naturally to a Yorkshire based company, only we call it being thrifty! We can supply any size or shape you require. Please take a look at our Quick Quote System for instant prices / online ordering. Ready to order your new Scatter Cushions?